You are here: Home / Featured / Diesel vs Gas Generator: What’s the Difference? And Which Do You Need? Diesel vs Gas Generator: What’s the Difference? And Which Do You Need? Worldwide energy demand grew by almost 3% last year to its highest point in human history. Energy consumption is only projected to go up given 3rd world countries like India becoming more affluent and citizens beginning to invest in power-hungry appliances like refrigerators and air conditioners. Not too much today, unless you live in a 3rd world country where energy demand is exploding. In the very near future though, high levels of global energy use will start to impact your local community and when that happens, blackouts will become more frequent as governments struggle to bolster energy grids. To keep lights on in the face of adversity, many people turn to portable power generators. Below, our team tackles the age-old diesel vs gas generator debate so you’ll know which is the best choice for your family or business. Gas power generators are the most popular fuel-based generator on the market. These generators can be purchased at most hardware stores and across many popular online marketplaces. 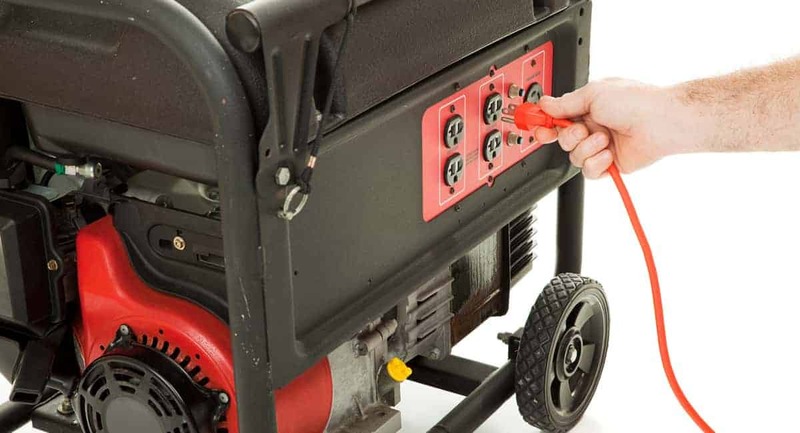 While natural gas generators might be people’s knee-jerk purchase choice when shopping for a portable primary or backup energy solution, it’s important to review this generator’s 3 primary pros and cons before making the commitment to buy. If you have natural gas lines running into your home or business, you can hook your generator directly into them so that it can convert your gas into power. The beauty of this setup is that during a power outage, if your gas is still running, you’ll be able to supply your home with an unlimited amount of energy. Given the abundance of natural gas and its easy accessibility, you’ll find that the cost per minute when running a natural gas generator is much lower than the cost that you’ll encounter with a diesel generator. If being good to the environment is an important component of the diesel vs gas generator debate for you, then gas generators have the upper hand. Natural gas emits less harmful waste into the atmosphere than similar fossil fuels. Generally speaking, gas generators tend to lose their operational efficiency faster than comparable diesel generators. Many people purchase natural gas generators because they like the idea of being able to plug it into their gas lines. Unfortunately, during natural disasters, gas lines may go down. If you’re not prepared, that occurrence could render your generator unusable. Natural gas is more explosive than diesel fuel. If you make a mistake when managing your generator, you could cause serious damage. While not as popular as gas generators, diesel generators boast a number of unique advantages over natural gas. Diesel technology is not without its disadvantages as well though. Here are this style of generator’s 6 primary pros and cons. Diesel generators are built to require little to no maintenance over the course of their manufacturer’s stated lifetime. Consequently, if you’re not mechanically inclined, this generator could be a good fit for you. Diesel technology is a lot more compact than the technology that’s required to process natural gas into energy. Because of that, many diesel generators will be significantly smaller and less heavy than comparable gas generators. Having a generator that processes fuel is dangerous. Diesel fuel makes things a lot safer. Diesel is nowhere near as explosive as natural gas which means operational errors and device malfunctions won’t lead to the same grave consequences that a natural gas generator might cause. Diesel fuel must be acquired at local gas pumps and as we all know, gas prices fluctuate weekly with the global stock/commodity markets. This can lead to uncertainty around how much your generator will cost to run. Processing diesel fuel into energy is a noisy process. If that’s a deal-breaker for you, then you may be better off sticking with natural gas. Tier 4 regulations are a series of standards that manufacturers must adhere to in order to be in compliance with environmental rules. These standards are often complicated and costly for manufacturers to remain in lockstep with. With regulations becoming more stringent as the world becomes more environmentally conscious, the cost of diesel fuel and their generators may rise as well. So, Which Generator Do You Need? Now that you understand more about the diesel vs gas generator debate, the big question is which generator reins supreme? As with most things, that question depends on your personal needs. If you’re looking for low-cost and easy accessibility then you’re better off investing in a gas generator. If you’re looking for a generator that’s safe, small and relatively plug and play, opt for diesel. We’ve just gone over all of the key differences when comparing diesel vs gas generator systems. No matter which generator you opt for, what’s important is that you pick up one or the other. Whether it’s to get through an energy crisis or it’s to power an impromptu outdoor event, every home and business can rest a little easier with a power generator sitting in its storage space. Want to read more poignant lifestyle content? Looking to know more about the world around you? Whatever it is that you’re hungry to learn about, our team at Florida Independent has you covered. Dive into more of our content today!